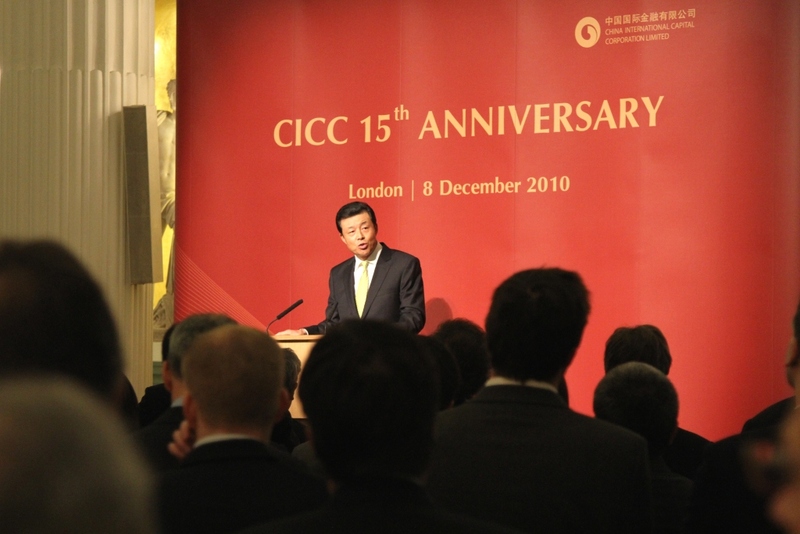 It is a great pleasure to join you tonight for the 15th anniversary of China International Capital Corporation (CICC) and witness the official launch of its new London office. I warmly welcome this latest addition of a “heavyweight” to the Chinese business community in the UK. As China’s first joint venture in investment banking, CICC is committed not only to providing investment banking services of international standards to Chinese institutions and individuals, but also offering professional services to overseas clients in understanding China and investing in the country. CICC has, over the years, developed into a strong presence in the Chinese market. It has acquired an intimate knowledge of the Chinese culture, legal system, business and market environment and a thorough understanding of the economy, both at the macro and micro levels, both in China and in the world. This has enabled CICC to provide a wide range of financial services and won the confidence of its clients. As foreign businesses come to China and Chinese businesses go global in ever greater numbers, CICC has been expanding overseas by setting up offices in major international financial centres such as Hong Kong, New York and Singapore. Today the launch of its London office marks a big step forward for CICC in bringing its expertise to Britain and Europe. CICC’s choice of London is a credit to both London’s status as a leading international financial centre and to the robust business ties between our two countries. We have every reason to believe that CICC will help more Chinese businesses operate in the UK and Europe, and at the same time offer British and European investors more opportunities to be part of China’s development. 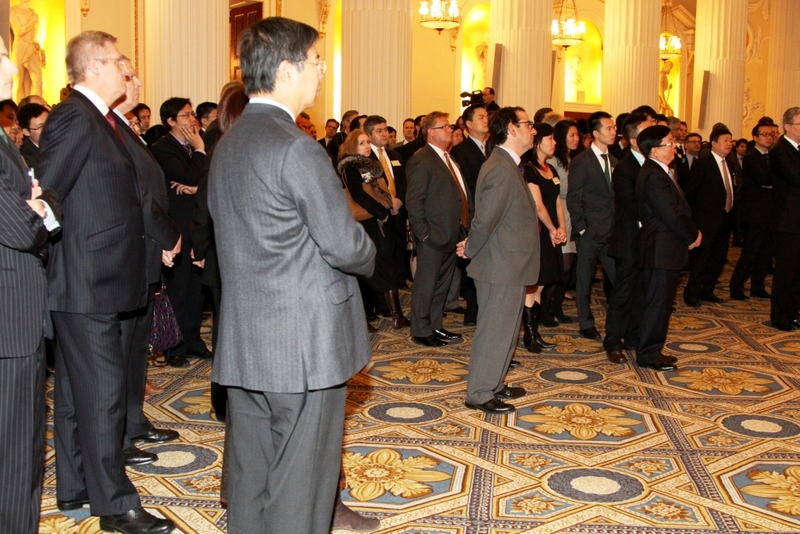 Financial cooperation is an important part of our bilateral partnership. It not only provides financial support for China-UK business cooperation, but also serves the growing global interests of our two countries. It will open up new prospects for our dialogue and cooperation in the international arena. China is ready to work with the UK to expand and deepen financial cooperation to make our partnership even more global, strategic and beneficial to both countries. 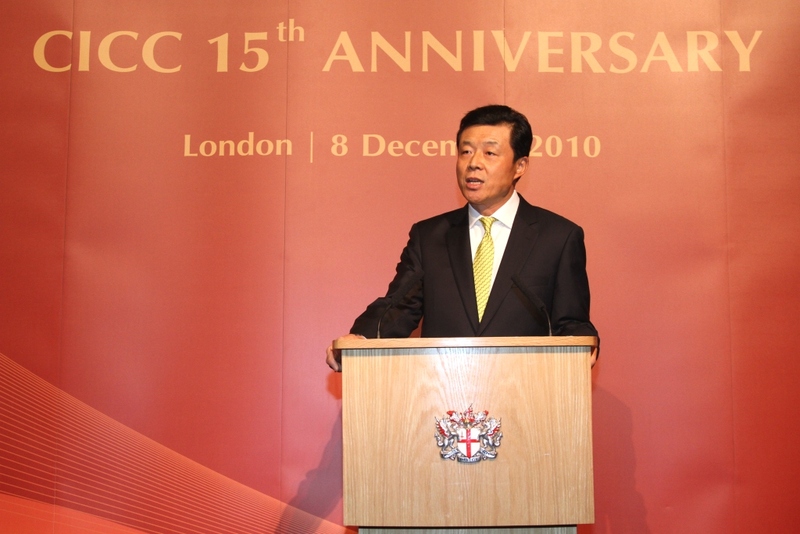 I hope the CICC will enjoy every success in the UK and make positive contributions to China-UK relationship.